If you have played Naples Grande Golf Club, we would like to hear from you. Naples Grande Golf Club is one of Southwest Florida's premier golf courses. 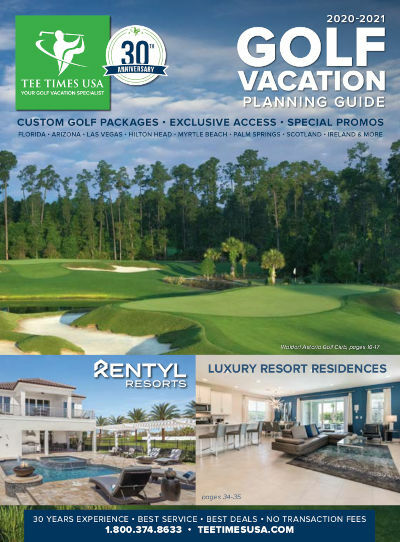 Designed by the famed Rees Jones, son of Robert Trent Jones, Jr. was named Architect of the Year by Golf World Magazine in 1995 and is consistently ranked among the top five architects in Golf Digest magazine. Naples Grande Golf Club offers varied and unique water features. A portion of the Naples golf course was designed around a 30-acre lake that is the picturesque backdrop for one of the more challenging golf holes. Hugh Hughes, a legendary designer of water features on award-winning courses worldwide, has created a babbling brook that comes into play on three holes. Challenging golf with exceptional personalized first-class service will ensure a memorable golf experience at Naples Grande Golf Club. You must be a guest of Naples Grand Beach Resort to play at Naples Grande Course.